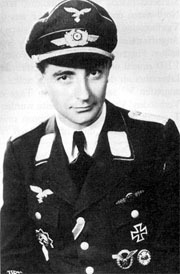 Hans Iffland claimed his first victory on 6 August 1943 when he shot down a USAAF B-24 four-engined bomber while serving with 12./JG 3. His second victory, a USAAF B-26 twin-engined bomber, was achieved six months later while serving with 10./JG 3, but further victories came more rapidly thereafter. On 7 July 1944, in aerial combat over Oschersleben, Leutnant Iffland shot down a B-24 but was shot down by return fire. He baled out severely wounded from his Fw 190A-8/R2 (W.Nr. 680 750) over Halberstadt. The wounds he suffered during this battle kept him from any further operational flying.  In the autumn of 1944, he received the Deutsches Kreuz in Gold. Hans Iffland was credited with 18 victories. All his victories were recorded over the Western front and included 16 four-engined bombers.